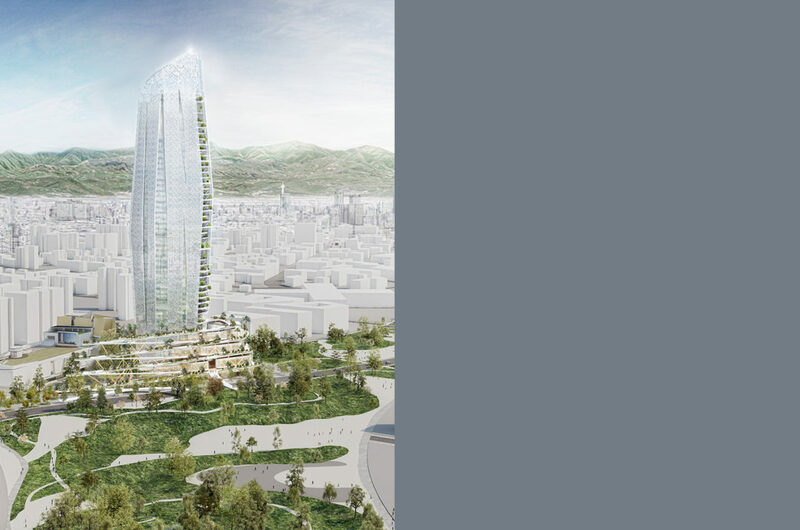 Second largest city in Taiwan, Taichung has launched a wide urban and architectural project. Following the opening of its great “climatic park” in the Summer of 2018, the city will welcome in 2021 the Taichung Intelligence Operation Center (TIOC). 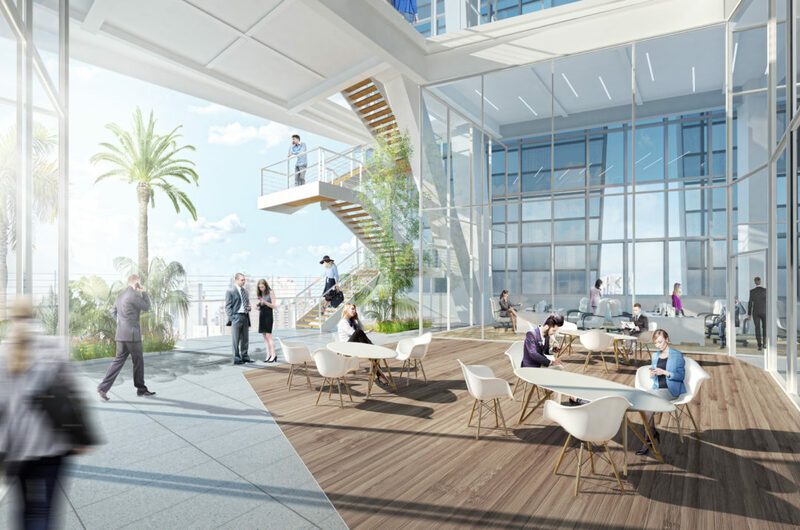 Designed by Elizabeth de Portzamparc, this high rise tower will host a digital cultural center, offices, shops and a restaurant. 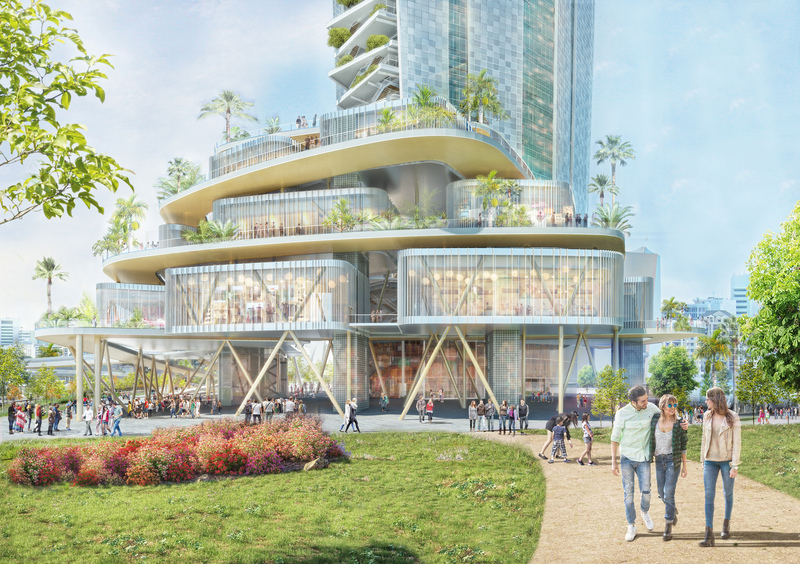 First “4th generation” urban tower, it has been designed as a sustainable neighborhood and vehicle of human interactions, an urban architecture that proposes another way of using and living in the space. 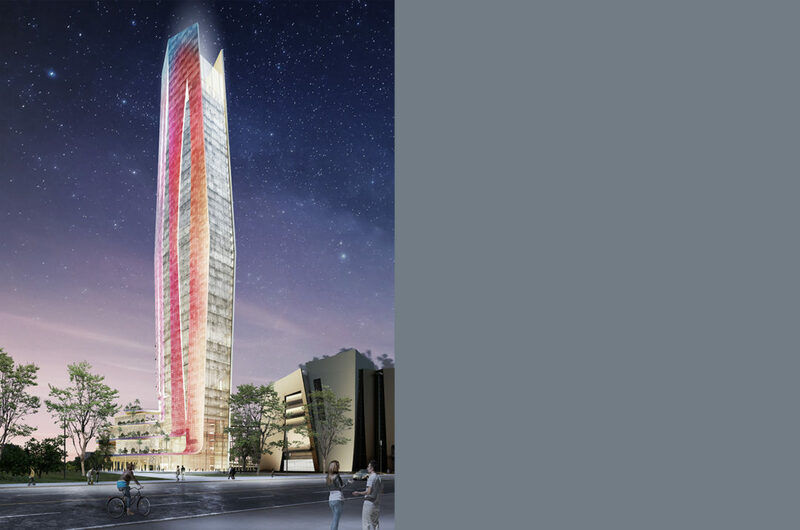 The main qualities of this type of avant-garde tower are its openness, its integration in the context and its relationship with the city. 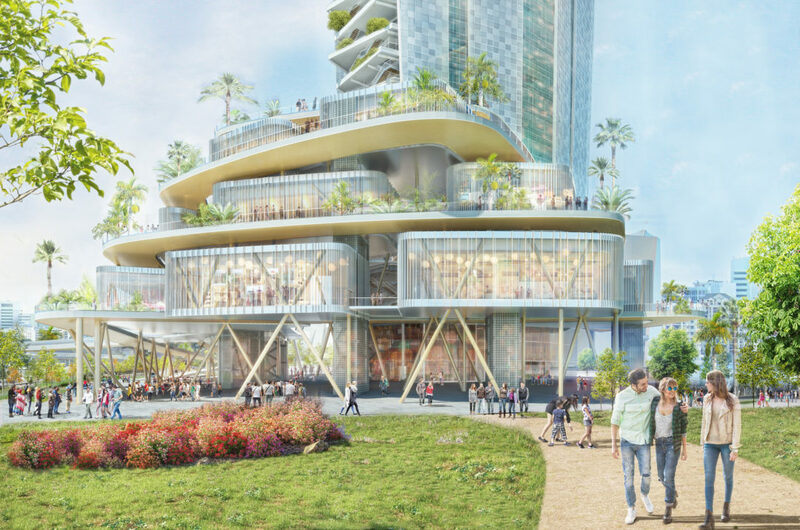 This great vertical interconnected neighborhood incorporates all urban and spatial links that can normally be found at the ground level and in the city, and extends them in itself. A continuity of the visual promenade is guaranteed so as to have the minimum impact on the city’s landscape. The tower is no longer an interruption of urbanity, it becomes its extension. This quest for openness passes first through the base of the tower and its lower floors, considered as public spaces because of their connection with the neighborhood and with the city. 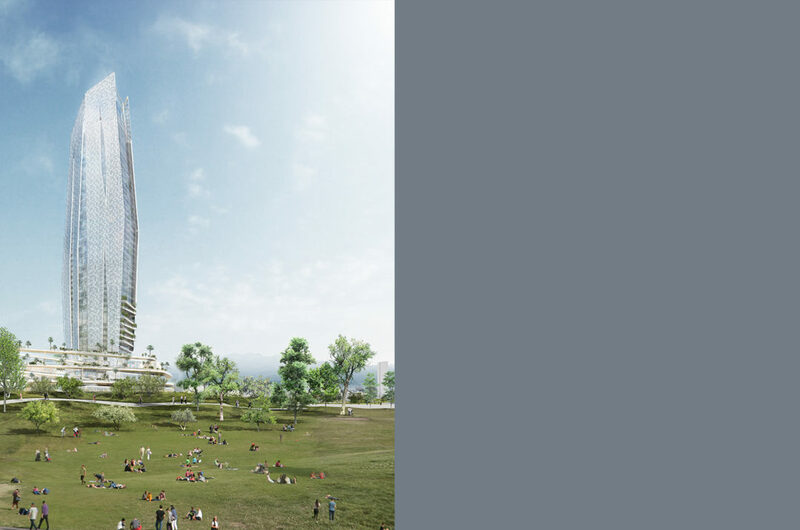 The park is extended into the tower and enters the core of the project through the ground transparent floor which is open to the public and constitutes an invitation to dicover the activities proposed in the lower levels. 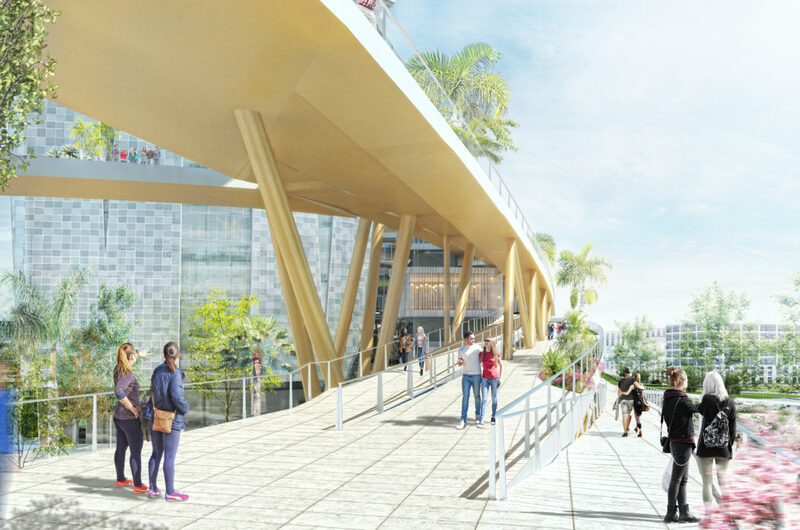 Ribbon-shaped walkways link the first levels and wrap the building in an upward movement, breaking the traditional barrier between inside and outside, between private and collective spaces. Thanks to the porosity of the ground, under the walkays, the project offers to the city a great covered square at the foot of the tower, a public space that is completely adapted to Taichung’s climate. 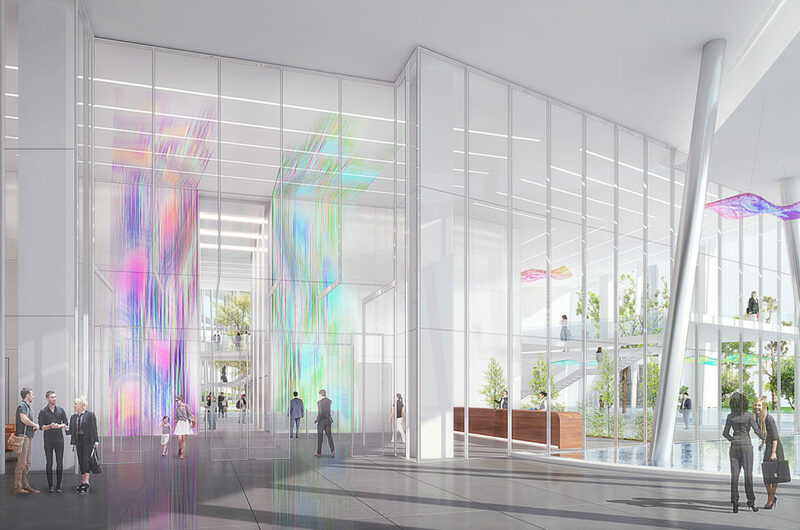 Large atriums are placed at the foot of the building; by connecting 3 to 4 levels, they create central spaces of interaction. The horizontal and vertical circulations are approached as meeting places that punctually transform into larger squares, plazas and terraces, creating as many nodes of local interest, support for social interactions and conviviality. 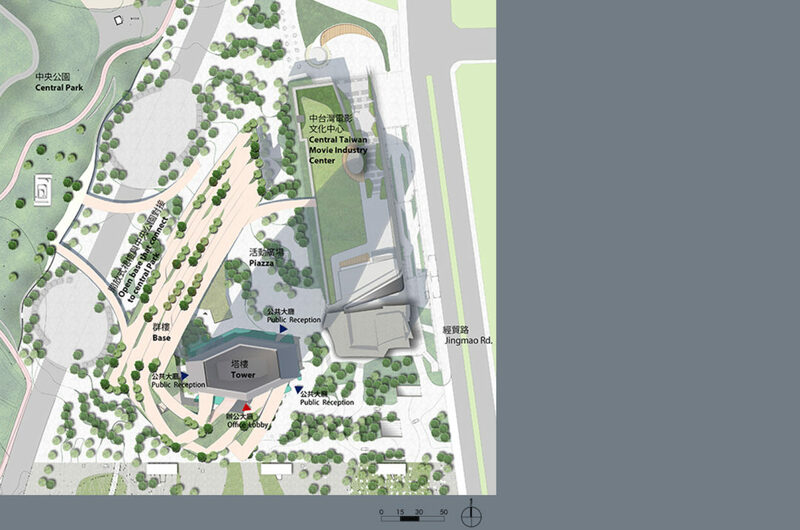 By reinforcing its urban dimension, this project offers the city a series of facilities open to the public: a theater and an auditorium that face a landscaping patio below, under the walkways, commercial galeries on the ground floor and on the walkways, and a restaurant on top of the tower. 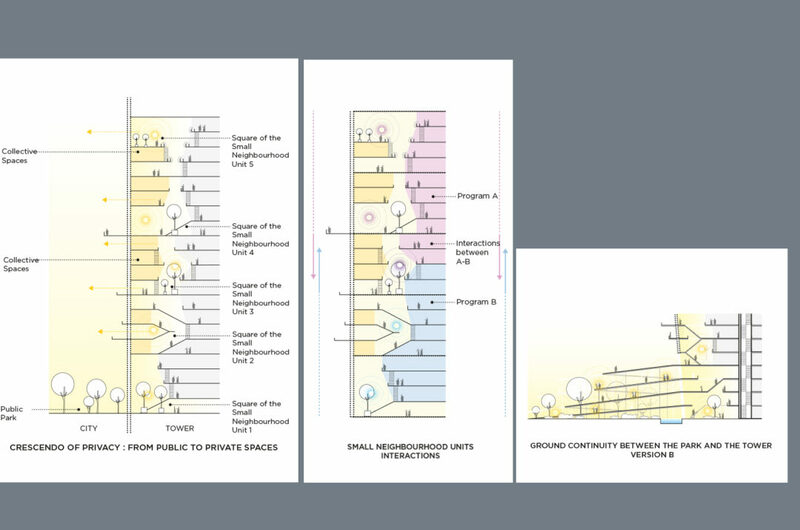 There is a large range of typologies of spaces that obey to a hierarchy of privacy, a graduation of the connection between the public and private spheres. Designed as a symbol of innovation and sustainable architecture, this project developed around a transversal thinking about the site, the morphology, the spatiality, the materials and the conception of the façade, in order to obtain a zero energy building. More than a mere aesthetic gesture, its drawing expresses a strong conceptual intention: a search for economy of forms and raw materials. The conception of the TIOC aims to promote “being together”, to plan and build a common future, to create the conditions to foster the emergency of a collective thinking that is necessary to the researches carried out by this digital center. Thanks to the complementarity between artificial and human intelligence, this tower fosters the development of the innovations that our civilization dramatically needs in the current context.